I posed for the NOH8 campaign because I wanted to add my face to the increasing number of voices responding to hatred in our communities. Growing up, I was often picked on and bullied. I remember my peers yelling, “You are a FAG!” even before I understood what that meant. This occurred from 1st grade through 10th grade. Even in my church, the other kids picked on me. Though I do not recall my pastor preaching against homosexuality, several members of my family did make it known that they believed it was wrong. This caused me to question God, my life and if my feelings were wrong. The treatment at church and school prolonged my acceptance of my own sexuality. I determined through years of reflection, questioning and research that I am not a mistake. I am made just the way my God wanted me. The Bible says in John 3:16, “For God so loved the world that whosoever believes in him shall not perish but have everlasting life.” It does not say whosoever is heterosexual that believes in Him shall not perish but have everlasting life. That means God does not discriminate. So why should mankind discriminate in the name of God? I am the whosoever. Who I love and how I love is not wrong. This enabled me to live much more freely and eventually come out to my friends and family. Just moments after 2001 began, January 1, 2001, I came out to my best friend. When I returned home after leaving the club that same evening, I came out to my mom. Thank God I was not disowned, but embraced even though my mom did not fully understand the situation at that time. Slowly over the course of a year, my whole family found out I was gay and no one treated me badly nor disowned me. In fact it brought us closer than we ever were. Because of my treatment in church and school I want to do all I can to help make the way easier for generations to come. I have a voice and I want to use that voice to speak out against injustice, discrimination, bullying and marginalization of any minority group. 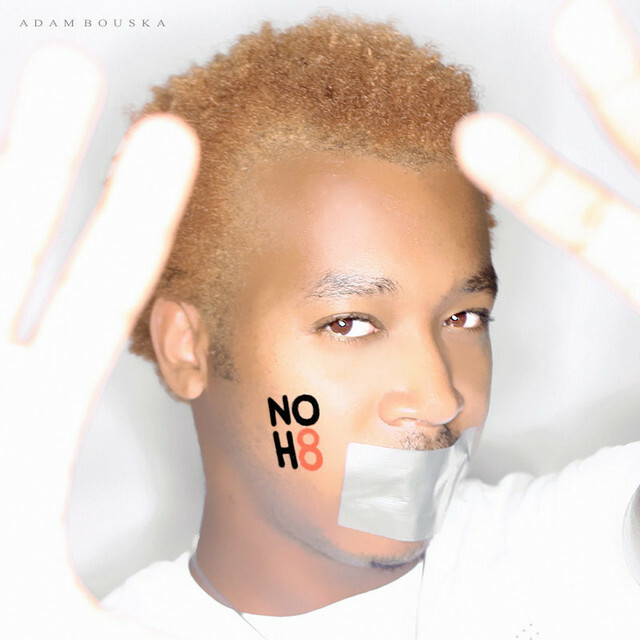 NOH8 gives me an opportunity to be a face of the Gay, Lesbian, Bisexual , Transgender, Intersexed and Questioning communities. I am Reginald Forest. I am Gay and my God loves me just as I am! !